MANILA, Philippines (Mindanao Examiner / Sept. 10, 2011) - The University of the Philippines Open University, in cooperation with the Land Administration Management Project 2, is set to offer the first ever Land Valuation and Management degree this Second Semester SY 2011-2012. The UPOU said it will offer the Diploma and Master of Land Valuation and Management (D/MLVM) program in October 2011. The program, it said, is designed for real estate practitioners in government and in the private sector, but also caters to those who wish to enter the profession without any previous background. It aims to develop professional valuers and property managers to be globally competitive and be ready to promote sustainable development of the real property sector. Application for the D/MLVM programs is open until September 30, 2011 for the second semester SY 2011-12 admission. 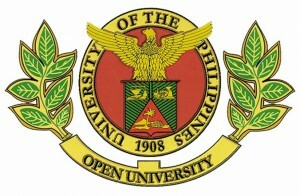 Those interested, it said, can visit www.upou.edu.ph or send an email to info@upou.edu.ph.